Established in 1856, Village of Creston, Illinois, (est. pop. 650) is located approximately 90 miles west of Chicago and 30 miles south of Rockford, Illinois along the historic Lincoln Highway. With a thriving agricultural base, the village is home to a notable K-8 public school, an outstanding library, park district and active community organizations. The annual "Creston Booster Days" is known throughout the region as one of the top, small-town festivals each September. will be held on Wednesday, April 3, 2019 at 7:00 p.m.
​Village of Creston does not allow "4-wheelers" within village limits. Meeting Agenda is available on the Thursday before the meeting. See "Minutes & Agendas" for what's going on. Due to the change in our alert provider's free coverage, text alerts for non-emergency events are no longer provided. You may still sign up to receive email messages for non-emergency events, such as garbage scheduling changes, railroad work, community events, etc. 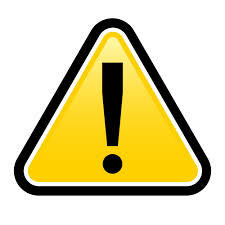 Text alerts will only be sent if there is an emergency. We will use the emergency text messages for water boil alerts, weather emergencies, and other essential needs. Sign up for alerts is found below. Creston's proximity to both I-88 and I-39 interstate highways provide easy access between our idyllic rural community and a host of dynamic urban amenities. 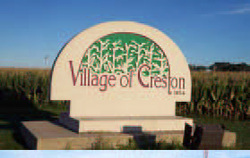 Creston is just minutes away from Kishwaukee Community College and Northern Illinois University. Creston is a great place for families and businesses. The village motto is "Come grow with us!"